Revitalising Bath Butter with Lemon Aspen. This pure indulgence bath soak will revive the mind and stimulate the senses for total relaxation. The perfect solution for unwinding and refreshing your spirit after a long day. Restores your skin’s natural PH levels and tones and rejuvenates the skin. Place a generous amount of Bath Butter in the palm of your hand and allow to dissolve under running water. Once dissolved, lie back and relax. 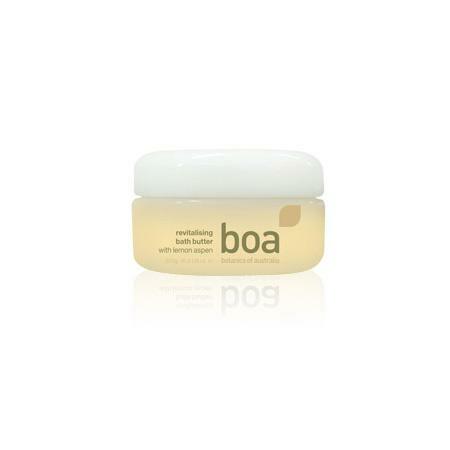 Try Botanics of Australia Revitalising Bath Butter with Lemon Aspen.